American Testament: The Book of Mormon: What are these "brass plates" and "gold plates"? What are these "brass plates" and "gold plates"? In ancient times, scribes who had very important things to record would record them in stone, on cave walls, and sometimes on sheets of wrought or cast metal. When Joseph Smith received the ancient record we now call "The Book of Mormon", it was written on thin sheets of metal that he called "plates". The plates were bound together with metal rings--somewhat in the same way a loose-leaf binder holds together sheets of paper. Here are some descriptions of the plates by various people who saw them, and some who didn't see them directly, but touched them through the cloth in which Joseph wrapped them when hiding them to protect them from the mobs. Another good article on the subject is found here. To the right, see a photo of a replica of what the plates may have looked like based on these various descriptions. The reason that metal plates were desirable as a means of recording important information for posterity was that they were less prone to decomposition. Gold plates were especially durable because gold doesn't rust or corrode. So important for our day was the message that Mormon was compiling about the rise and fall of his people that he went even to the length of gathering up such a scarce and precious metal, worked it into thin leaves, engraved the record upon them, and hid them in a hill. Later, Joseph would be directed to their hiding place and would be allowed to take possession of and translate them from the ancient language of the Nephite and Lamanite people into English. I searched for "gold" on wikipedia.org and the page that popped up said, "Gold is... soft... and the most malleable and ductile substance known." This is significant because we would not expect a long and important (not to mention divinely inspired) text to be written on gold if we wanted the text to be preserved, contrary to what Rob Watson claims above. This page, on wikipedia, said nothing about the use of gold in ancient books but it did mention something called gold plate and something else called gold leaf. I looked up “gold plate” and found that it was used in the ancient world for covering things with gold (but not as paper in books, apparently). I looked up gold flake and an irrelevant page (about cigarettes) popped up. Then I searched for “metal book”. There didn't seem to be anything very promising here in the first several choices of linked pages (in wikipedia.org) apart from an entry dealing explicitly with the Book of Mormon. Actually, it was not until the 17th entry. All of this suggests that the concept of metal books (say, made out of gold) is very rare at best. When I clicked on “golden plates” (the 17th entry) in the aforementioned list, I scrolled down to the section entitled “Non-LDS plates and Mormon apologetics”. In that section I read, “Nevertheless, there is no known extant example of writing on metal plates longer than the eight-page Persian codex and no extant metal plates with writing from Egypt or from any ancient civilization in the Western Hemisphere.” This research took less than 10 minutes and seems to provide a fairly strong case against Joseph Smith’s claims about the gold plates from which the Book of Mormon is said to have been translated. Google is wonderful. Wikipedia is wonderful. In my own 10 minutes, I found other sources you seem to have either not found or have overlooked on purpose. You also missed a big piece of evidence by not simply clicking on a link in this very post. 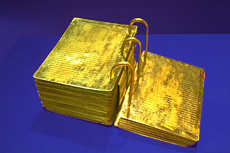 It's the one that says "sheets of wrought or cast metal" and it points to an article (http://www.meridianmagazine.com/bookofmormon/070215plates.html) summarizing archaeological findings of at least 30 individual gold plates with writing on them, and one book (of which an actual picture is shown) which is at least a prototype of what Nephi could have been writing on. Note also the age of the Etruscan plates...about 600 BC. Sound familiar? Yes, it was found in Bulgaria, but if people in Bulgaria had them in 600 BC, why wouldn't people in and around Jerusalem have brass plates (and/or gold plates as well)? Tumbaga is a real alloy, remarkably similar to what is described both by Joseph Smith and by the authors of the Book of Mormon. See http://en.wikipedia.org/wiki/Tumbaga and note that it was used to make all kinds of religious artifacts. Dear Rob, greetings. First of all, in my rebut, I must express concern that you are still using excessive linking. 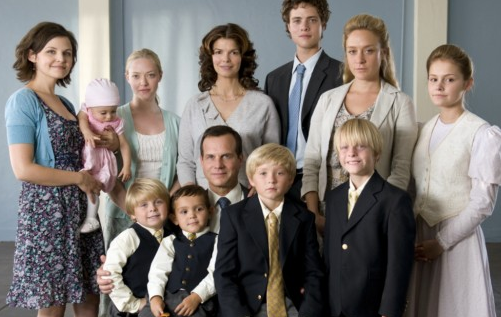 Are you a Mormon apologist or a Mormon linker? At any rate, with one exception all your links here are to Mormon authors. They have a bias towards there being ancient metal books. In contrast, wikipedia is presumably a reasonably unbiased source. Now, you do give a link to wikipedia about tumbaga. The link did not work when I cut and pasted it. However, I did search wikipedia for "tumbaga" and found what I presume you wanted me too. There I read that tumbaga was, indeed, used in Mesoamerica. But I am not sure this is relevant. Joseph Smith said that Moroni said the plates were made out of "gold" and not that they were made out of "gold alloy" or "tumbaga". History of the Church, vol. 1, by Joseph Smith, Deseret Book, 1976, pp. 11-12. Finally, I must point out, again, that writing on plates is not in question. Rather, what is in question is writing of metal books 500 plus pages in length. Apart from the Book of Mormon there is no known case of this in all of history. And the Book of Mormon itself is known to be an extensively long metal book ultimately only on the basis of feeling. 1) I'm linking "excessively" because this is the Internet. That's what people do on blogs to keep the posts short to read, but still full of information. I suppose I could type everything out in "longhand" from the books that I would like to quote directly, but a) you won't read the books, so why should I expect that you would read what I type and b) I recently slipped on a patch of ice on my way to the gym and have limited use of my left hand as a result of my injuries. But just for you, I'm propping my left hand up so I can try to further clarify what you seem to be overlooking...again. Besides, don't you think it's a little bit disingenuous to criticize me for linking when you gleefully admitted that Mormonism was debunked by your 10 minute search of Google and Wikipedia? I'm not sure what kind of points you think were won with your argument about "excessive linking" when that was how you initiated this comment thread. 2) My links are indeed back to Mormon authors. Just as your links will tend to be to anti-Mormon authors. I wouldn't expect you to rely exclusively on LDS sources to make your arguments against us, so why should you expect me or anyone to look among the writings of those who swear themselves our enemies for anything that would support our arguments? Conversely, why would you expect us to refute what we believe to be God's true doctrine in an ill-fated attempt to appear "unbiased"? This is not CNN or Fox News political debate here, where the outcome ultimately won't matter when Christ comes the second time. This is Gospel truth we're talking about. Ultimately, you must recognize (and we certainly do not hide this fact) that we are out to promote what we believe to be truth, not to become mealy-mouthed, non-committal professors of theology. 4) Joseph himself, along with the eight witnesses, said that the plates had the "appearance" of gold. He/they never claimed that they were ONLY made of gold. 5) Middle Eastern writing systems cannot be compared directly with the English language to which the Book of Mormon was translated. Hieratic and demotic Egyptian characters (very probably the "Reformed Egyptian" mentioned by Moroni in Mormon 9:32) were basically Middle Eastern shorthand. The Egyptians used hieratic and demotic characters to reduce the burden on the scribe when transmitting long documents or (like today) when taking dictation. Shorthand means that one character is a symbol for a concept or word. Ask any modern secretary who happens to know shorthand what 500 pages of text would become if written in shorthand. I can't claim to know why other "long books" have not been found, but you know as well as I do that absence of evidence is not evidence of absence. "And the Book of Mormon itself is known to be an extensively long metal book ultimately only on the basis of feeling." Evangelical, you need to disabuse this caricature of Latter-day Saint testimonies. Not only is it inaccurate, but, in my opinion, rather offensive. evangelical: Your research is superficial, and your summary of what is out there about ancient writing on metal plates is very misleading. Even worse, is your implication that faith must be backed up by archaeological evidence. Do you believe in the book of Exodus? If so, why? There's no archaeological evidence that a large group of Hebrews lived in Egypt and left en-masse, and no evidence of the plagues, or of Pharaoh's army perishing in the Red Sea. The Egyptians of the time were meticulous record keepers, yet nothing they have verifies the story of Exodus. Bookslinger: I seem to recall having watched a very informative and convincing program on the History Channel about the Hebrews exodus from Egypt. It was a while ago, and though I've searched their web-site, the closest I can find, to my recollection, would probably be this $25 video they offer. You might like to check it out! Rob Watson: Love, love, LOVE your blog! Thank you for sharing this information with us. Steve Smoot: "Amen!" to what you said! @MommaTeresa: I'd love to know more about the video you mentioned. Were you able to find a link you could share?